With almost 4,000 visiting ghouls and goblins last year and a bigger crowd expected this year, we are in need of support for this event. This year’s theme is Monster Mash. Halloween is on Tuesday this year and the event will run 5:30-8:30 pm. Any help (volunteer or donation) you can offer is most appreciated! 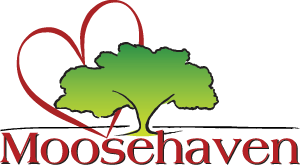 Please make a donation in support of The Annual Heart of the Community Halloween Trick or Treat at Moosehaven. You may also mail a check marked “Halloween” and made out to Moosehaven.